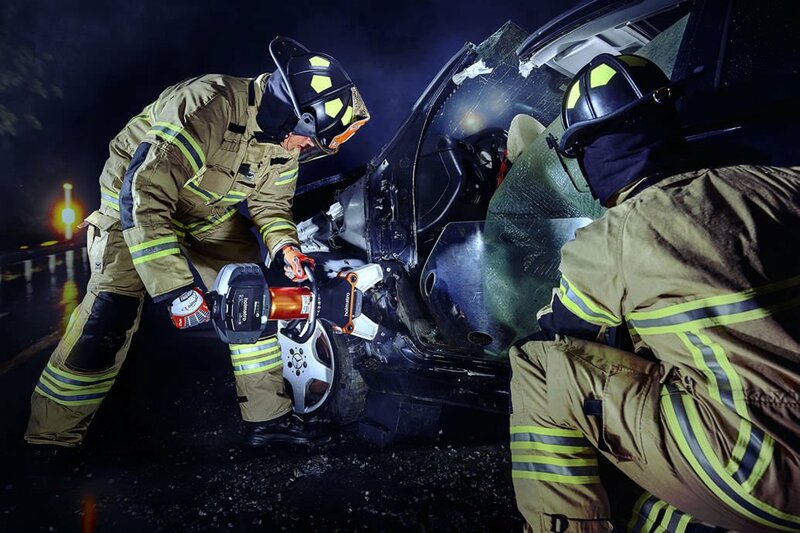 Holmatro Launch New Range of Cordless Rescue Tools under the name of EVO 3 – Holmatro launches its next generation of cordless rescue tools. The full range consists of battery-powered cutters, spreaders, combi tools and (telescopic) rams. Compared to the previous range the new EVO 3 tools offer much more speed when it counts, i.e. when placed under high loads. Combined with the exact same forces as found in Holmatro CORE Technology hose tools this leads to an optimal performance on new car construction. On the outside Holmatro EVO 3 tools look the same as their predecessors. However, on the inside a lot has changed to optimize performance and speed. Cast in resin the electronics inside the tool are fully protected against moisture and dust. This is on top of the tools’ IP 54 protection rate against dust and splashing water. Like their predecessors, Holmatro EVO 3 tools are designed to offer the rescuer ultimate freedom. Their inline control handle with 360° access, centrally located at the back of the tool, enables easy operation in any position. And the battery on top of the drive unit is always within reach, even when space is limited.